Spend a year reading Judge Dredd. Simple! This should be the calibre of every Dredd story. 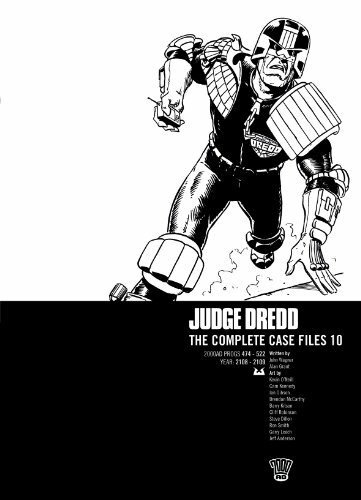 There is proper suspense and tension, and a real feeling of jeopardy for Dredd that most of his stories don’t have. We also have a returning character from a long time ago that rewards long-term readers and adds to the authenticity of the drama. Like all great Dredd stories we learn more about the world. And most importantly what a nasty one it is. Infrequent artist Kim Raymond seems a lot more at home with the material now and goes for bold and abstract depictions over realism which proves a good choice. This entry was posted in Progs and tagged Alan Grant, John Wagner, Kim Raymond by 365gn. Bookmark the permalink.